Is the crucifixion of Christ a myth or historic fact? Is there more to it? Come see how the crucifixion if not just history, but a cornerstone of the Christian faith and an integral part of God's plan of redemption for the human race. Are You Willing to Be a Jeremiah? Ever heard the saying, "Suffering for the Cause"? Well, Jeremiah could be the poster child for that saying. Yet, in spite of all he endured, he also provided some of the strongest and vivid prophecies of the future hope for not only the people of his day, but for us today as well. Come check it out. 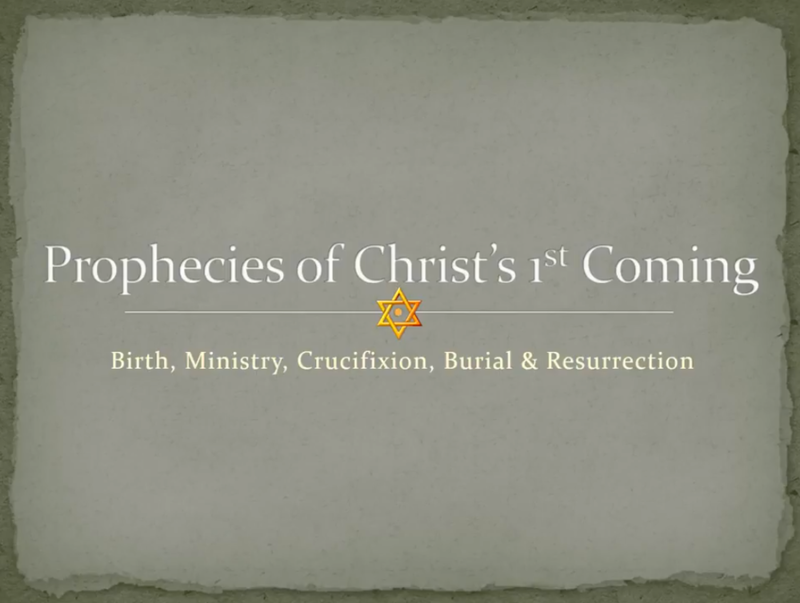 The number of Biblical prophecies pointing to the birth and crucifixion of Christ and the need for both are numerous. Come check out a large number of them.